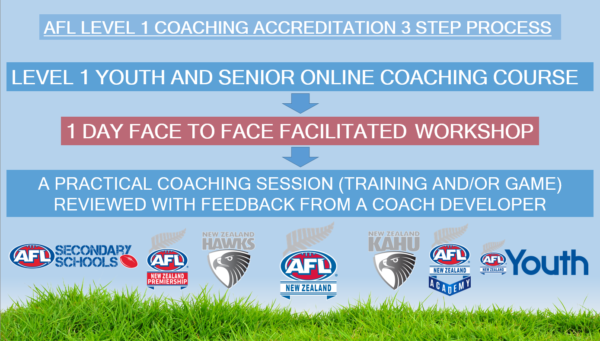 AFL Level 1 is recommended for coaches coaching at secondary school and local club level and is a prerequisite to coach AFLNZ Youth programmes, AFLNZ Premiership and New Zealand national teams. 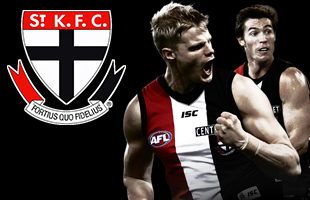 By completing the AFL Level 1 Youth & Senior Online Coaching Course, you will not only benefit from gaining skills, knowledge and values necessary to assist you to effectively perform the multi-faceted role of a coach, you’ll also develop a more positive attitude towards coaching that we hope will inspire you to progress to the next step in AFL coaching accreditation. We want you to enjoy your learning and development experiences and hope that you have a rewarding coaching career.